A ventriloquist, Dusty Rhodes (Richard Curnock), drives along a country lane, chatting happily to his dummy, when a farm van pulling a trailer of hay lurches out in front of him and he's injured in the crash. At the hospital, his x-rays show a stomach full of diamonds - "High on carat, low in protein. ", as one doctor (Christopher Greatorex) says to another (Nigel Lambert). In London, Miss Pegram (Yolande Turner) instructs her assistant (Eric Woolfe) what prices to buy and sell and, and has her second assistant (Philippe Monnet) arrange a trade through the Bourse. Steed meanwhile takes Emma for a pleasant spin in the country, but the bonhomie evaporates when he delivers her to the Whitton Cottage Hospital, where Rhodes remains in a coma. He tells her they're there to investigate valuables in currency leaving the country and shows her the diamonds extracted from Rhodes. He tells her Rhodes has made seven trips to Switzerland in the last four weeks and £3.5M of good have turned up there. They visit a mechanic (Richard Owens) who's been checking the car and he tells them it was a genuine crash, the car wasn't tampered with. 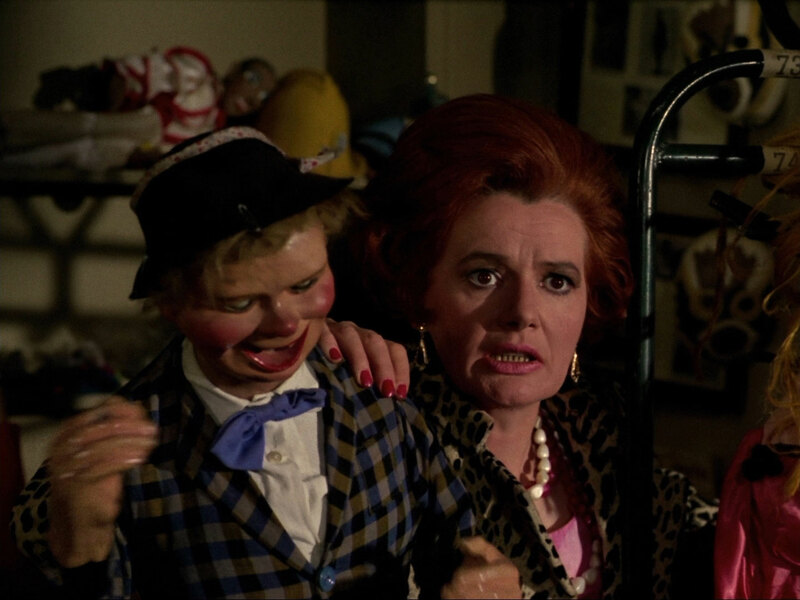 Steed takes the dummy to Mrs Rhodes, who isn't overly concerned about her husband's condition, and tells him that Dusty visited the refugee homes set up by Alex Litoff when he went to Switzerland. Steed recognises Litoff as a financier and she confirms they've known each other for years; after he leaves, she takes the dummy into the kitchen and pats a large Borzoi. In a graveyard, a jovial minister (Cardew Robinson) conducts a funeral service for another dog, the prim old butler, Glover (Cecil Parker), telling him to send the bill to Mr Litoff and departs, leading another Borzoi away. Steed arrives at the Litoff Organisation just after Glover, who tells him he can't see Litoff, who is indisposed, but may see his number one, Miss Pegram when he says he wants to return £50,000. Steed presents the diamonds to her, saying Rhodes was trying to smuggle them out of the country but he'd managed to intercept them. He offers to return them for £5,000 and Pegram, after a brief interruption from Litoff over the intercom, tells him she can't be blackmailed. She's called away to handle a trade and Steed tries to enter Litoff's suite but is stopped by the assistant. He offers Pegram his silence for the same price and agrees to return the next day. 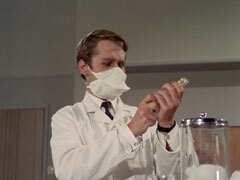 At the hospital that night, the security man (Jon Laurimore) is tricked into leaving the bedside by the assistant, disguised as a doctor, who lethally injects Rhodes. Steed and Emma investigate the next day and discover the killer understood medical forms, and forensics report a Borzoi hair found on Rhodes' jacket. The mechanic is attacked before they arrive to reexamine the car and Pegram's assistant has it crushed in a compactor. The Avengers retire to examine old footage of Litoff and Emma finds a gossip column reference to him attending the opera with his niece, Judy Channerin and she decides to pretend to be a school chum when she visits the boutique she works in. She arrives and chooses a yellow silk tie, casually questioning her about her uncle, whom Judy says has kidney trouble, and she's never seen the last act of Faust as they always leave early. Emma says she's heard he's leaving Britain, which Judy refutes and Emma leaves, saying "...and the devil claimed his soul", adding "Faust" when she looks shocked. 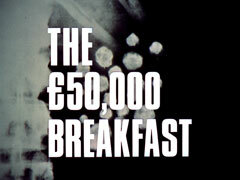 Steed revisits Pegram who offers him £4,000 and tells him they'll prosecute if he decides to sell the diamonds instead. She adds that being a woman in the financial world means she has to be tough - Litoff took a chance in hiring her and without his name behind her she'd be nothing. 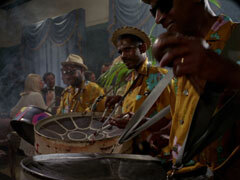 Litoff's doctor, the acclaimed surgeon, Sir James Arnell (David Langton), appears and says his client needs more rest or his heart will give out, he departs to attend a cigar tasting and Steed chats to Glover about the dog on the way out, and Glover lets slip that there used to be another called Bellhound. Mrs Rhodes arrives and tries to blackmail Miss Pegram who offers her an annuity but she refuses, saying Bellhound is still alive. Pegram's assistant follows her home and breaks into the shop with a thug and they kill her and take the dog. Steed and Emma compare nots and find Litoff's medical problems don't tally so Steed asks her to break into Arnell's car outside Kerrick Brothers while he questions the doctor inside. Sir James is impressing Jerezina (Yole Marinelli) of his cigar knowledge when Steed approaches and reveals to Steed he'd like to set up a clinic in Asia so he can do good work rather than just tend London society. Outside, Emma's search is interrupted by the assistant, who she slams into the boot, and the thug, who she knocks out cold. Steed arrives and she tells him Litoff's left ventricle is unsound following a heart attack. 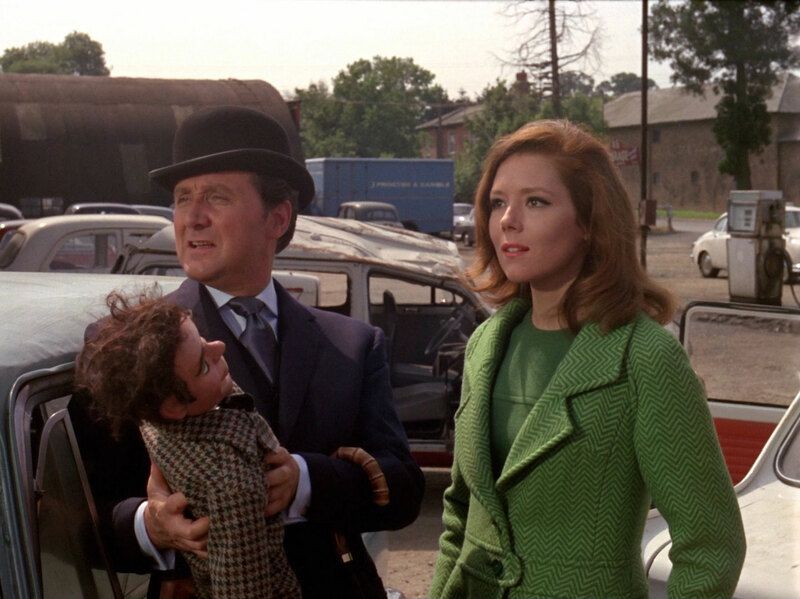 Steed recognises the assistant and finds a Borzoi hair on his jacket and guessing where it came from, takes Mrs Peel to see Mrs Rhodes, only to find her dead. A man from a kennel (Michael Rothwell) enters the shop, come to collect Bellhound and Steed pays him off then heads back into town and breaks into the Litoff Organisation by climbing out on a top storey ledge. He's captured at gunpoint by Miss Pegram after finding Glover lying on Litoff's bed. Emma visits the pet cemetery and has the grave exhumed when the minister's recollection is vague. Steed meanwhile learns that Litoff died after his third coronary and Glover's share of the embezzled wealth is £11M, which he plans to use in being obnoxious - "I want to be ill mannered and rude and uncouth, and order people about, especially women. I look forward to being excessively rude to a considerable number of handsome women!" Later, the sexton uncovers a human body in Bellhound's grave but Glover is visiting the cemetery and rushes away to warn Pegram. 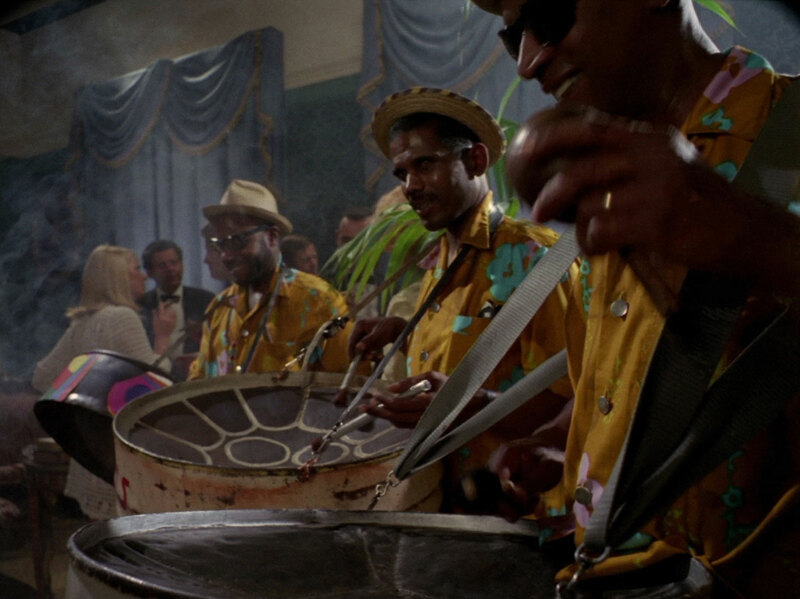 They arrange their escape after cuffing Steed to Litoff's bed and then Emma arrives, pretending to be from Pedigree Kennels, but Glover recognises her and she's cuffed as well. Steed produces a solid gold toothpick for her to free them with while Pegram fails in convincing her co-conspirators to kill them. She decides to let them go - over the ocean - but when she goes in they've escaped and trick her with a trail of bedsheets out the window. Emma attacks her while Steed apprehends Glover and Arnell and they lead them all off into custody. Emma visits Steed with two Borzois and tells him to open his present. He looks pained and explains "Mrs Peel, I'm an Englishman and therefore a dog lover, but I prefer not to have dogs in my demesne or upon my necktie", revealing a bright yellow tie with a hideous painted dalmatian on it, and she grins at him.